I'm editing today so I decided to post about unique writing tools. The first one is from one of Margie Lawson's classes, Defeat Self-Defeating Behaviors. It's my inner evil editor duct taped. Whenever I start having self doubt I grab my duct taped doll and stab, flog, and punch it. It's very therapeutic. I got my mini flogger and mini handcuffs from a writer's conference. Sometimes you come up with a brilliant idea or line in the shower. By the time you jump out and dry off, it's gone. Here is a handy waterproof pad of paper that sticks to your shower wall. You can get it on Amazon. It's called Aqua Notes. It's cheap and it works. 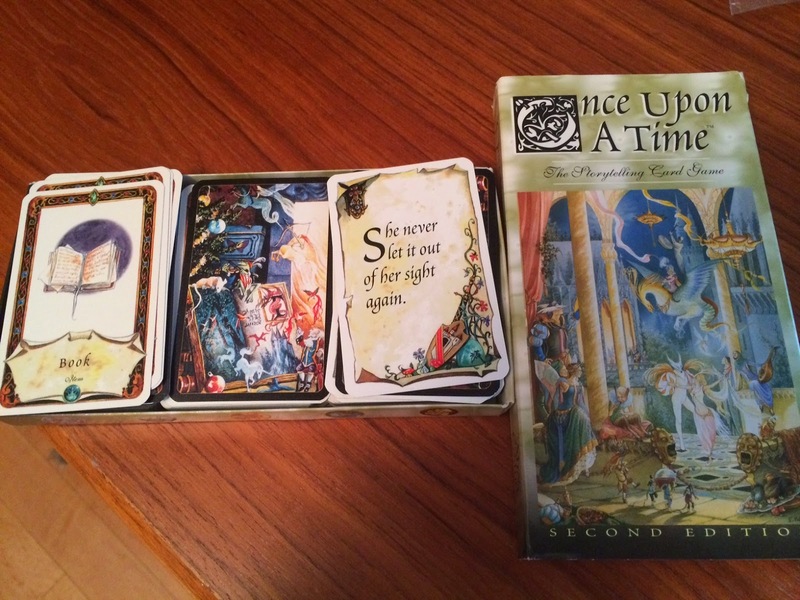 The next cool thing I have are Once Upon a Time story cards. If you get stuck and need somewhere to go in your story just pick a couple of these cards. They have different pictures and words to help your muse. 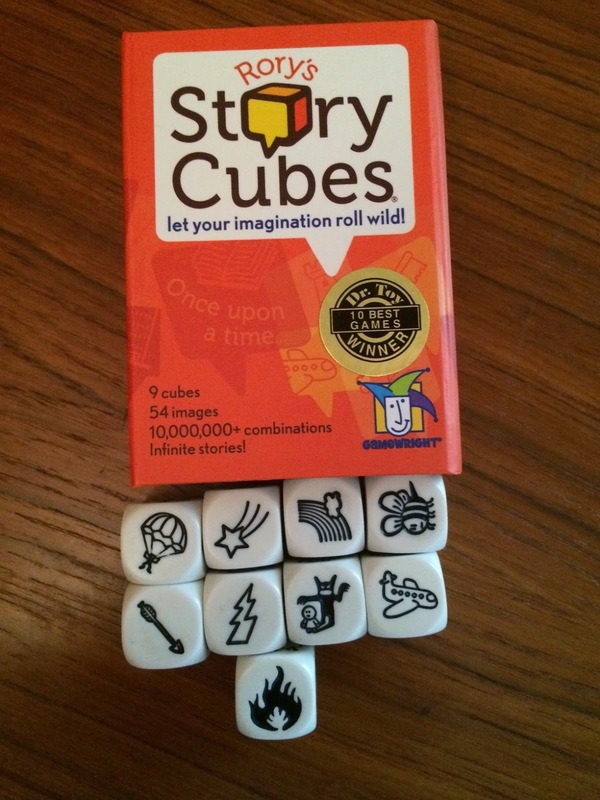 These story cubes are like the story cards only they're dice. Give them a roll and get some unique ideas. 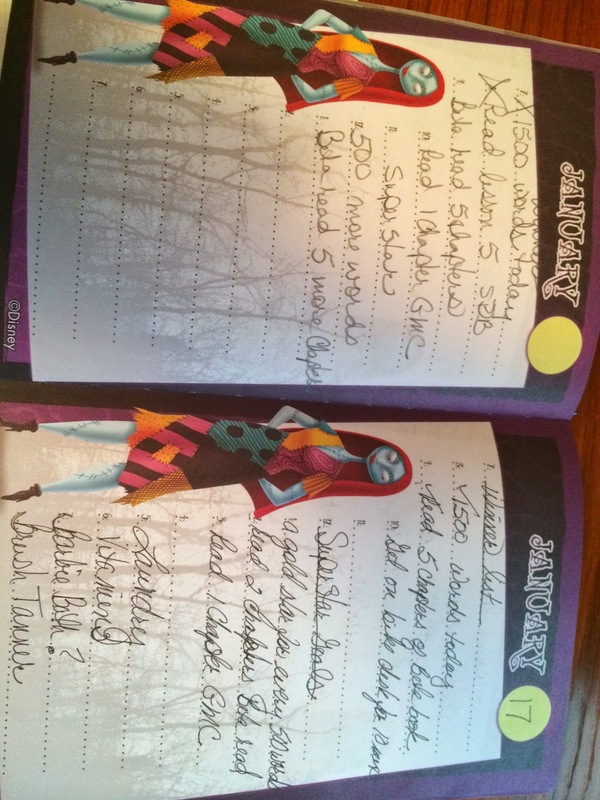 Next is my journal. I keep my goals and ideas tucked in this awesome book. If you don't write down lists of everything you want to accomplish, it usually doesn't get done. Make sure your journal is pretty so you'll want to open it every day. For some reason blogger rotated my picture so you'll have to tilt your head to see it. Do you have any unique writing tools? If so, please list them. Thanks for visiting my blog today. Please leave a comment. Great idea to have a pen and paper in each room. I may have to do that. 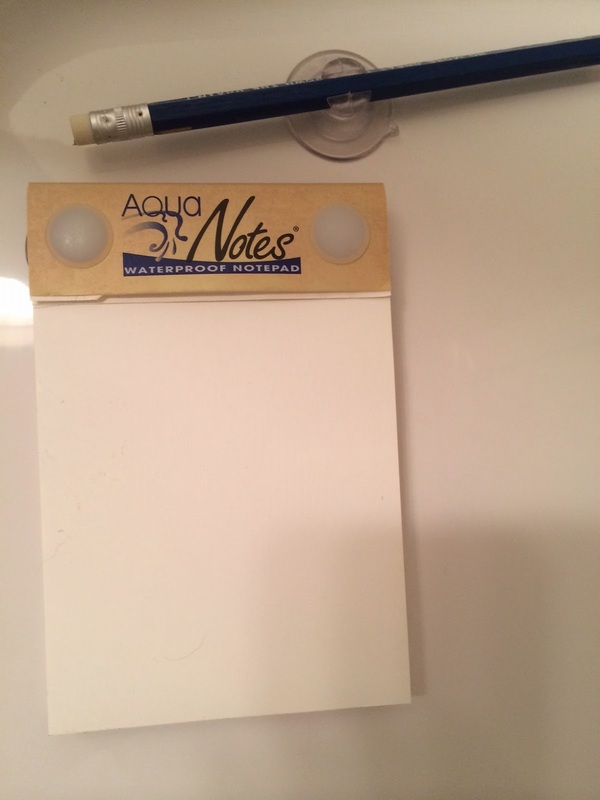 The Aqua notes are held on to the shower wall with suction cups and it's about 6in by 3 in. They are waterproof. I use it all the time. I love my Aqua Notes. They're available on Amazon. Whoever invented them is a genius. I'm glad my post introduced them to you. Happy writing. Bonnie, great ideas! 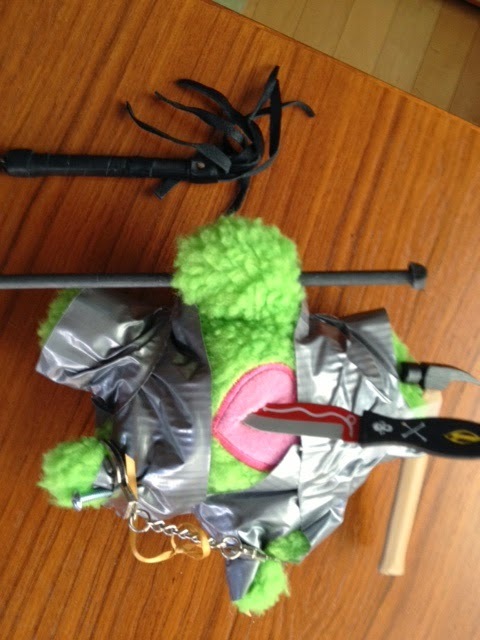 I LMBO off when I first saw the duct-taped doll and knife. I agree, it is so important to set yourself up with as many tools as we can to help our muses emerge! I had so much fun making my duct taped inner editor. I'm always up for different ideas to encourage my muse. Bonnie - I'm with Debra - I'm going to get myself a frustration doll and duct tape her to the chair so my inner editor shuts up when I'm writing. One tool I use extensively is Pinterest for story ideas. I keep my iPad open to my Pinterest page while I write so I can look at my characters, settings, and moods I'm trying to get down on the page. I loved all your ideas! What a great idea. I just started my pinterest account and don't have many pins yet. I'm still not sure how it works. Having pictures of characters and settings would really help while writing.